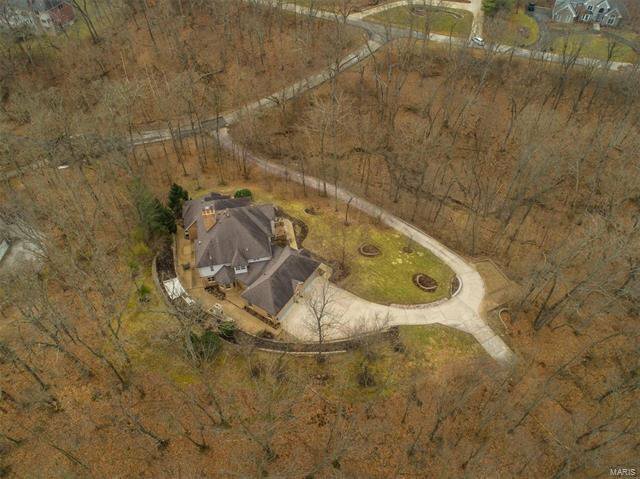 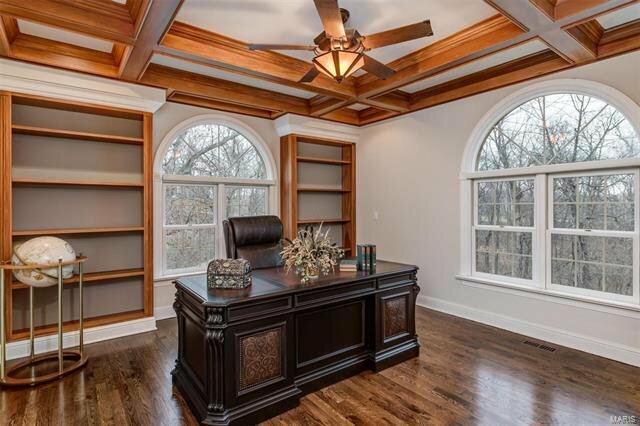 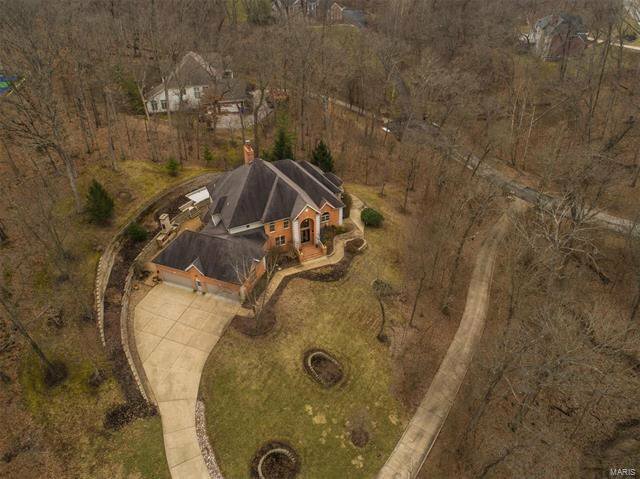 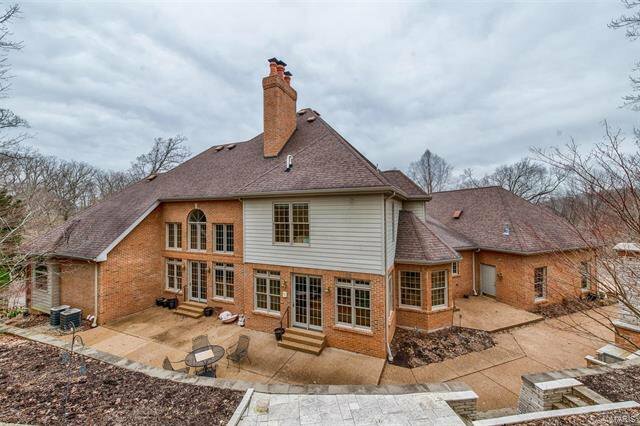 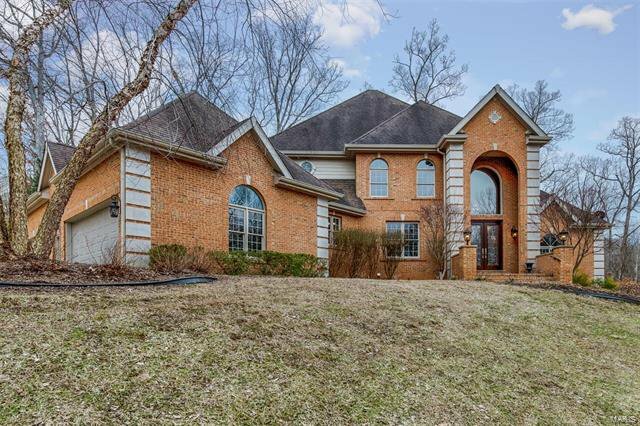 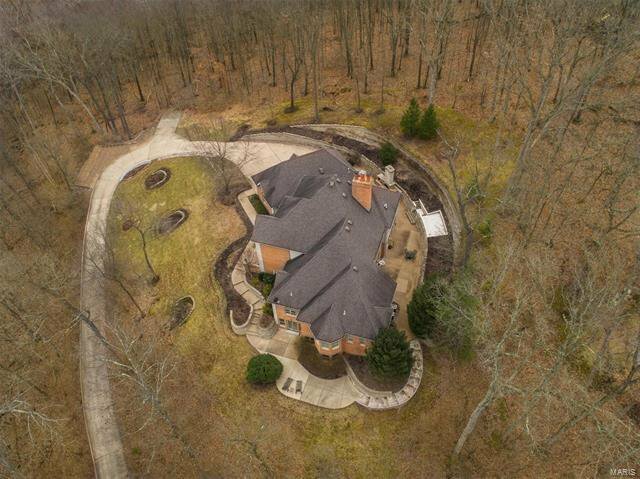 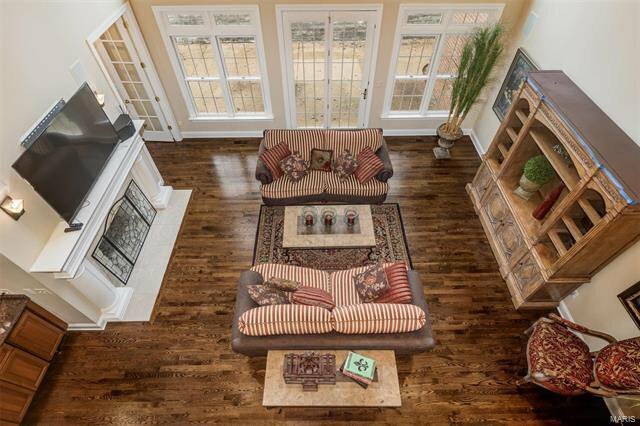 Executive home on 3 private acres tucked into the woods. 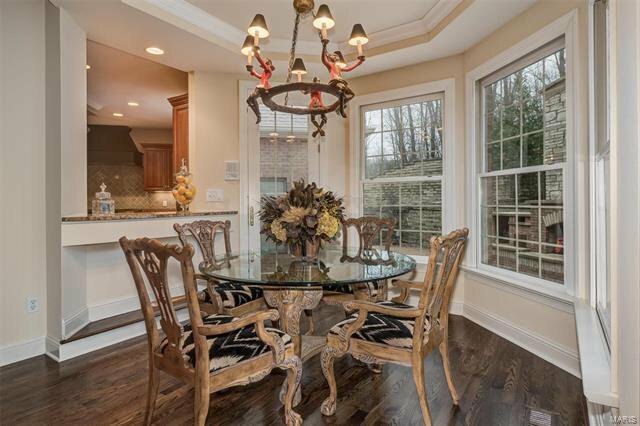 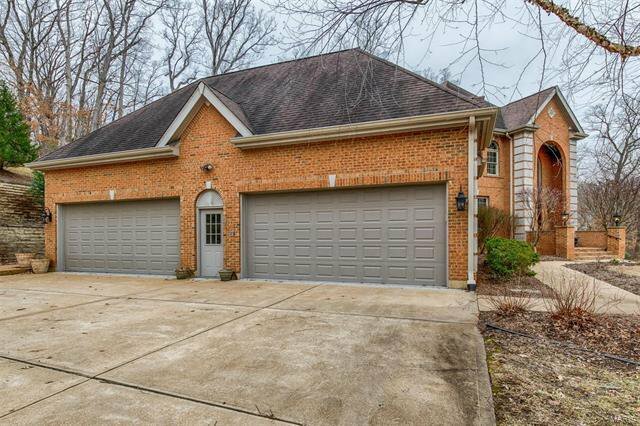 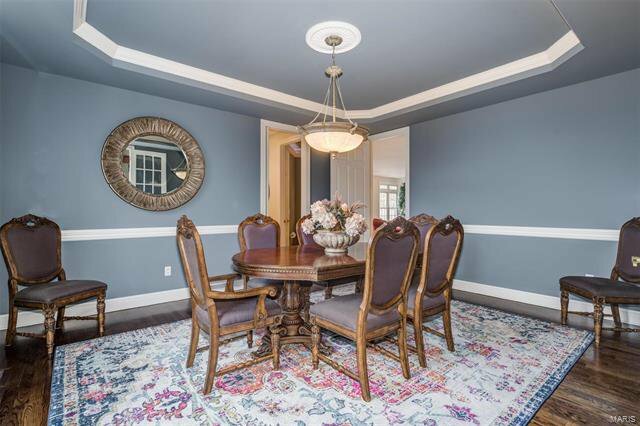 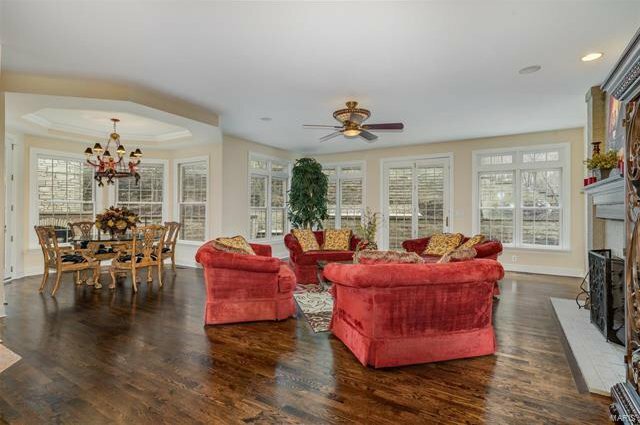 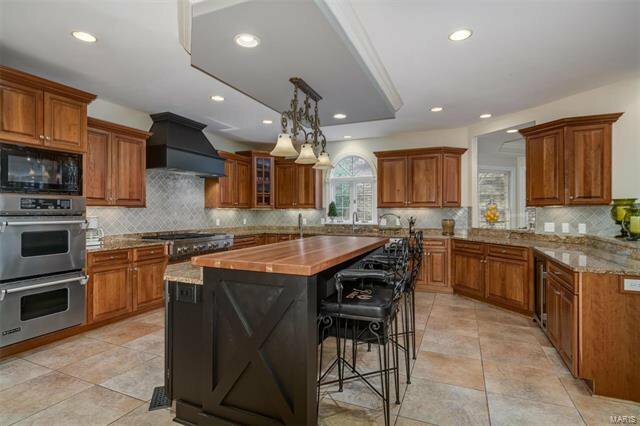 This home has been totally refreshed with refinished oak flooring, fresh paint, kitchen enhancements and more. 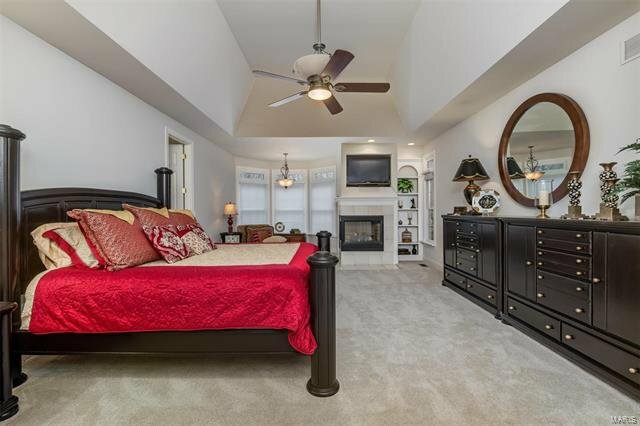 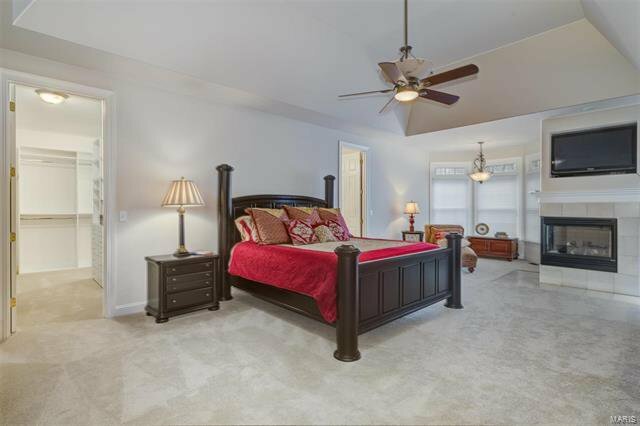 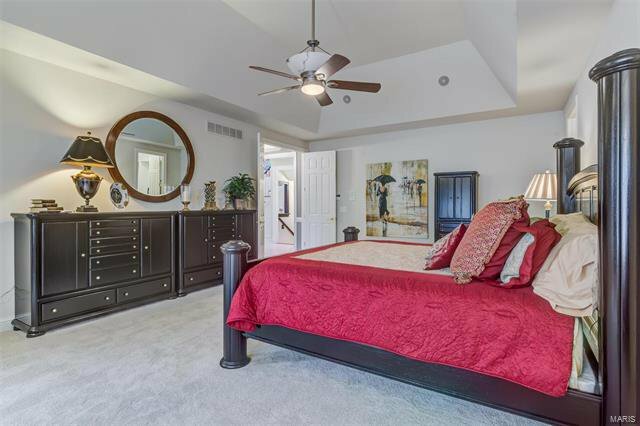 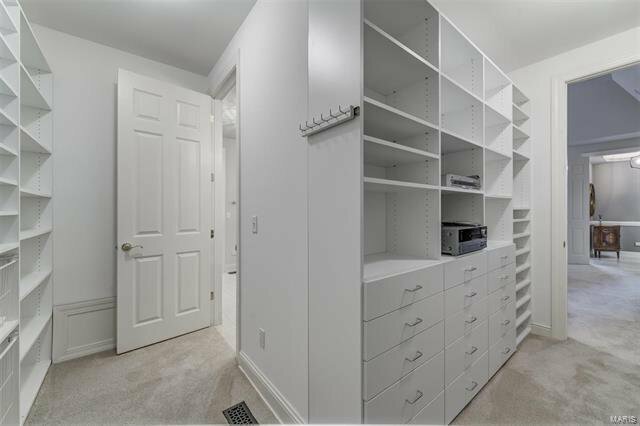 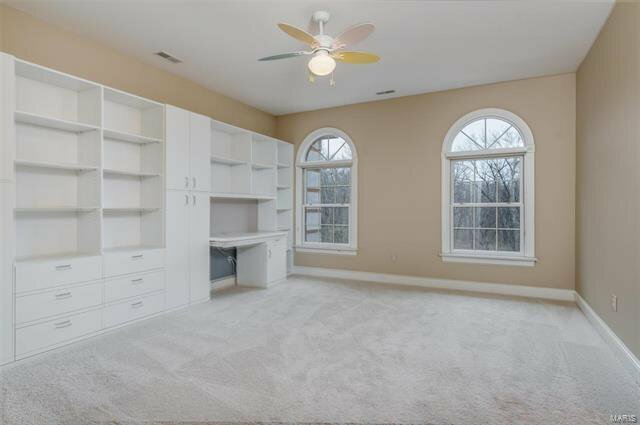 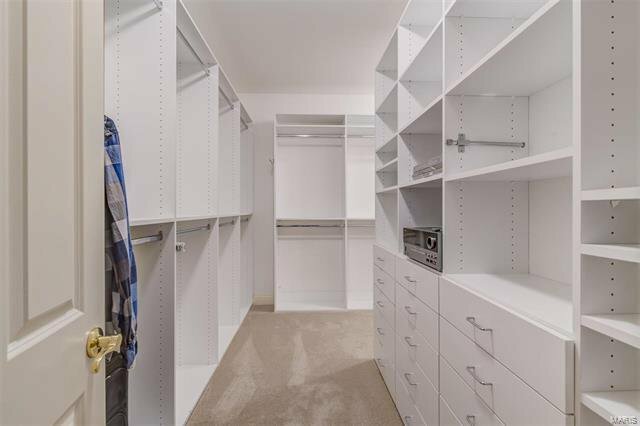 The main floor master suite is just what you desire featuring an office with beamed ceiling, expansive bedroom with fireplace and coffered ceiling and large walk-in closet with built-ins. 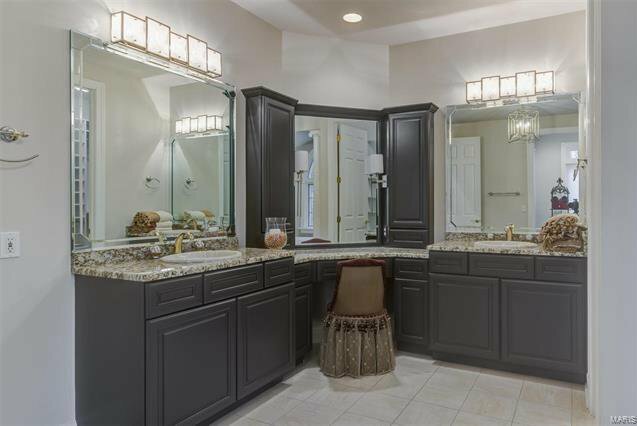 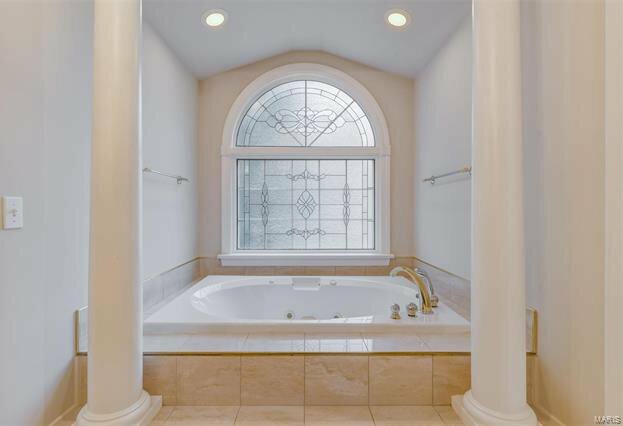 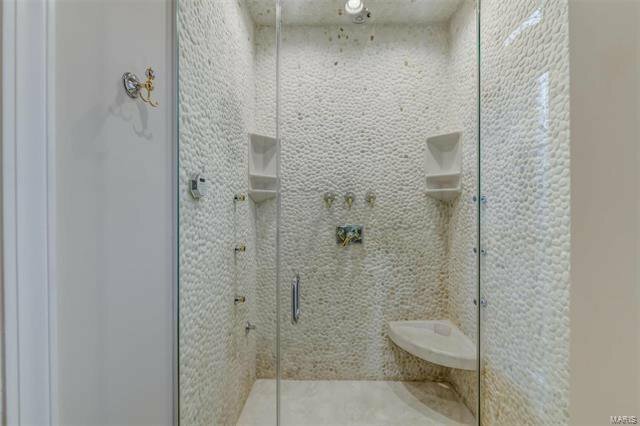 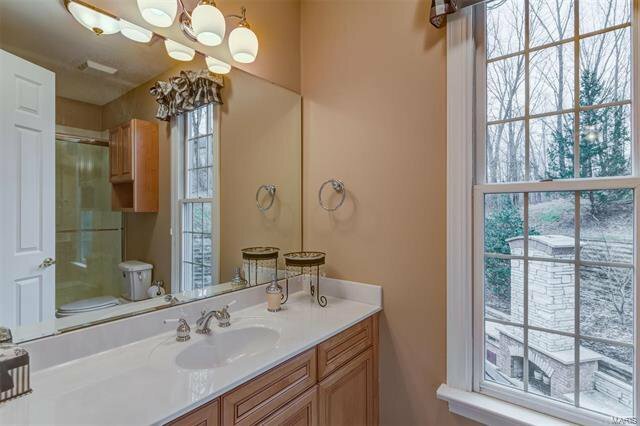 The luxurious master bath’s highlights are dual vanity, jacuzzi tub and steam shower. 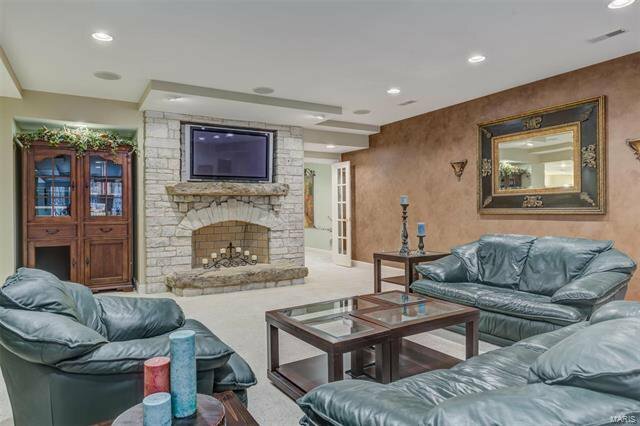 The kitchen opens to a family room with a fireplace that is see-through to the living room. 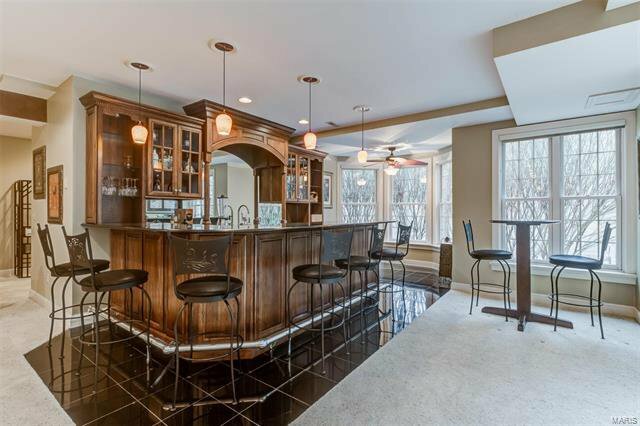 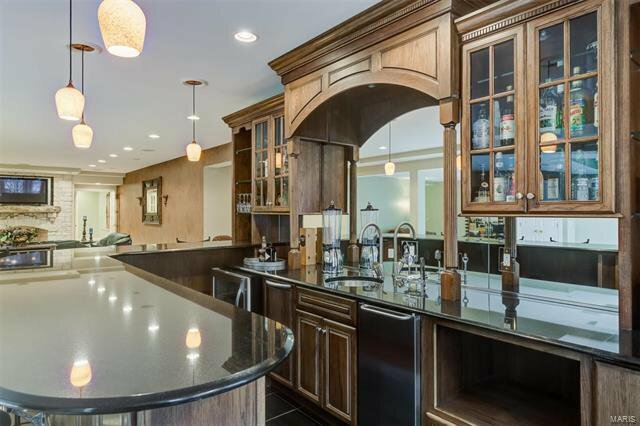 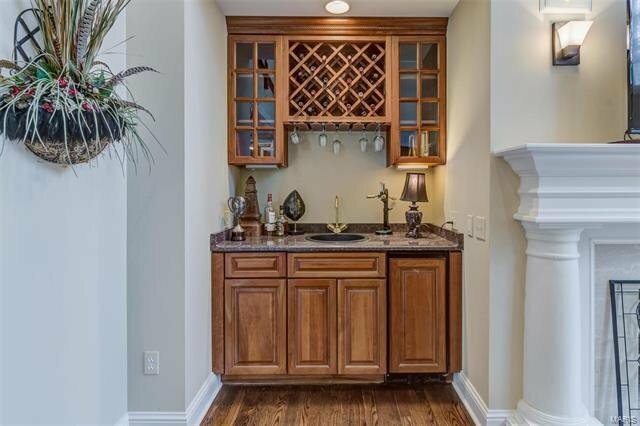 Wet bar in the living room. 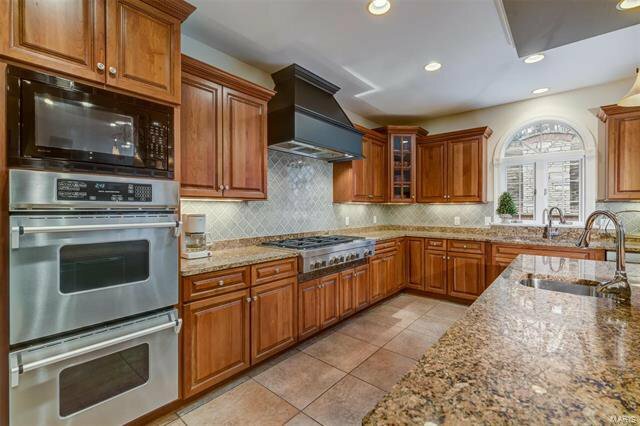 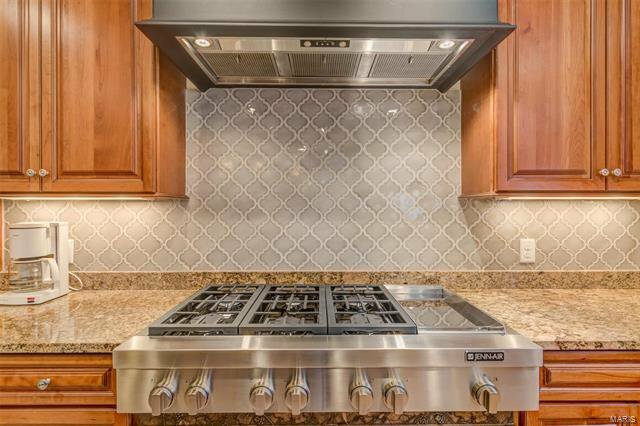 The kitchen features granite counters, 6-burner gas stove, double ovens and breakfast room. 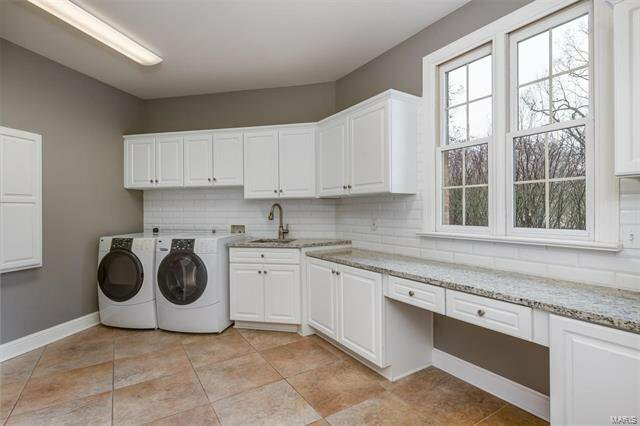 Main floor laundry room. 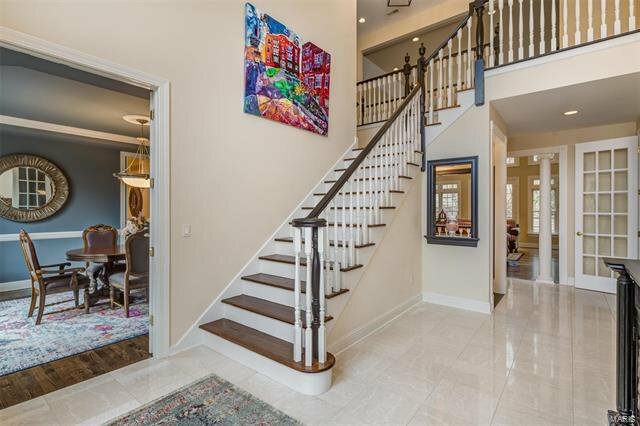 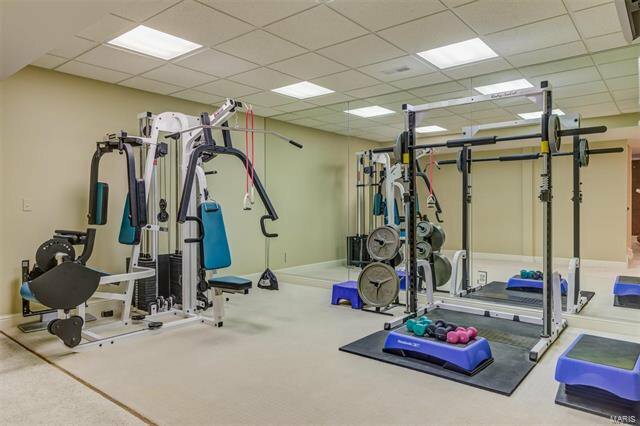 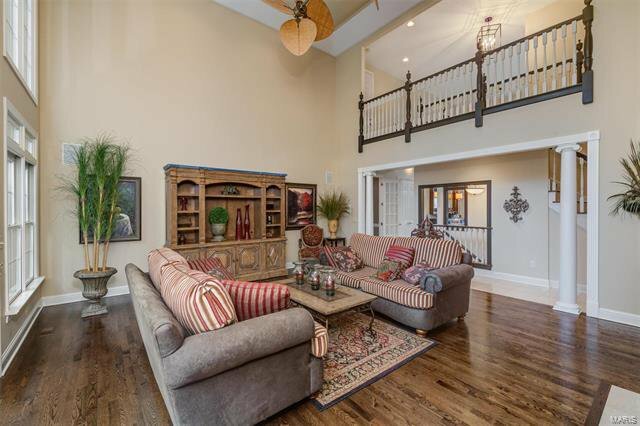 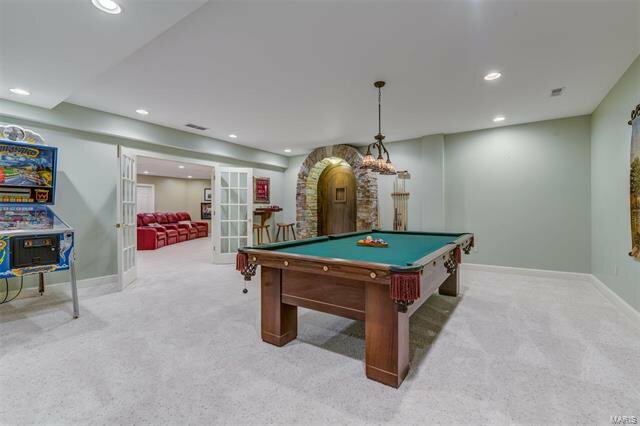 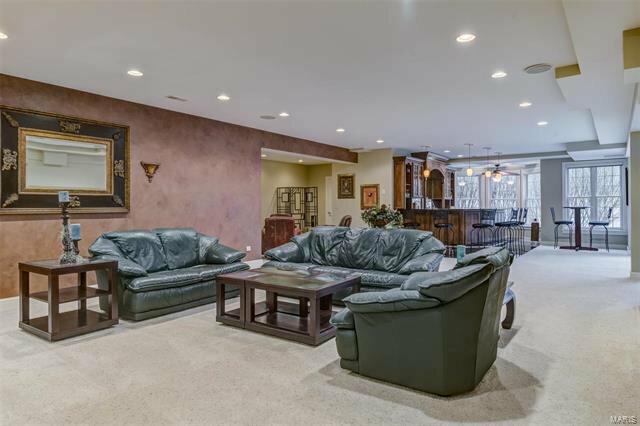 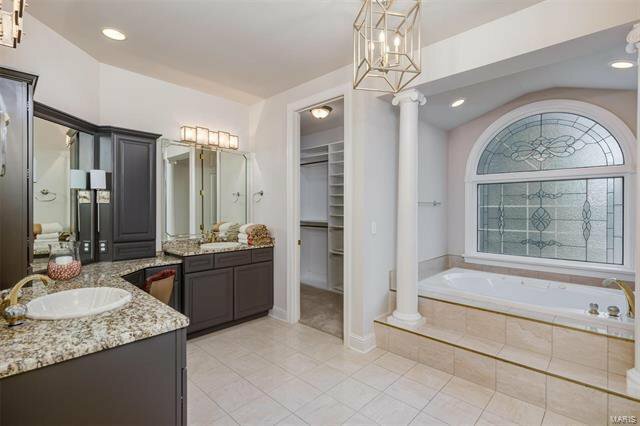 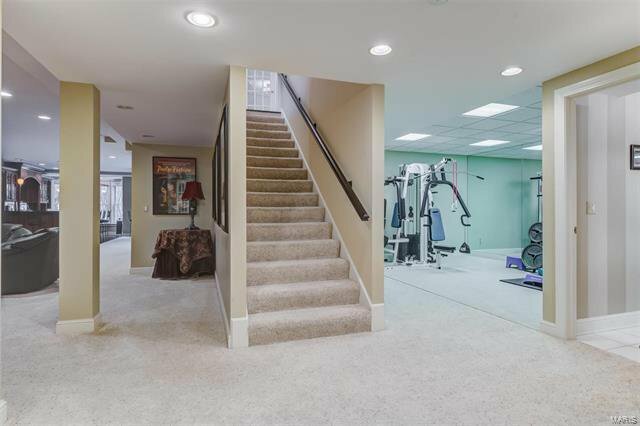 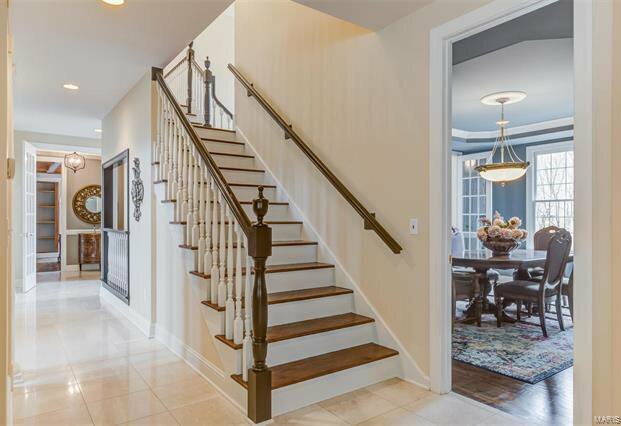 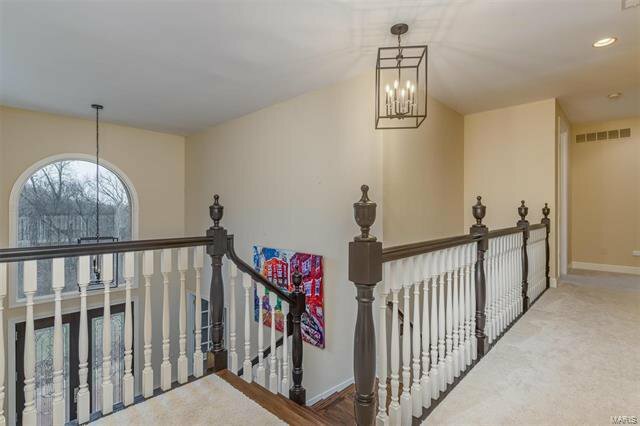 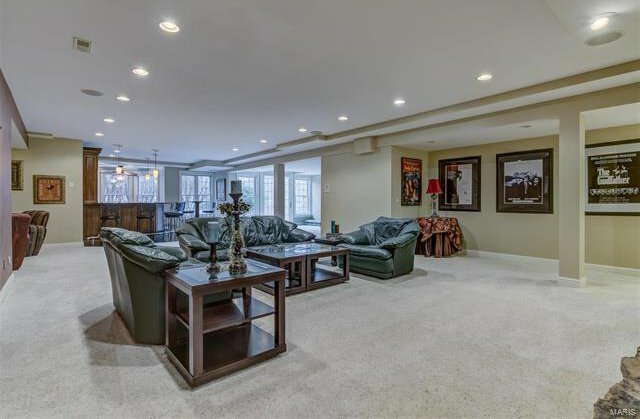 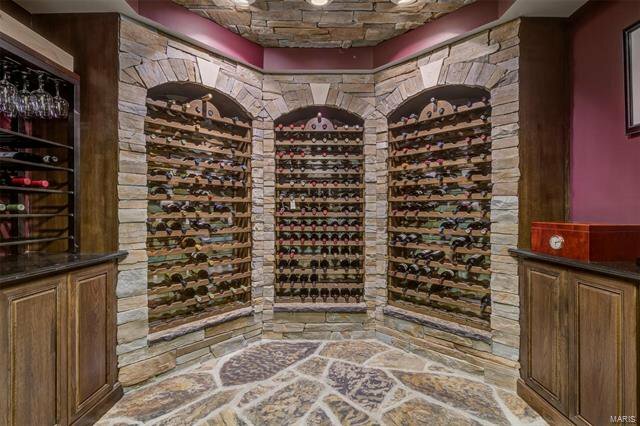 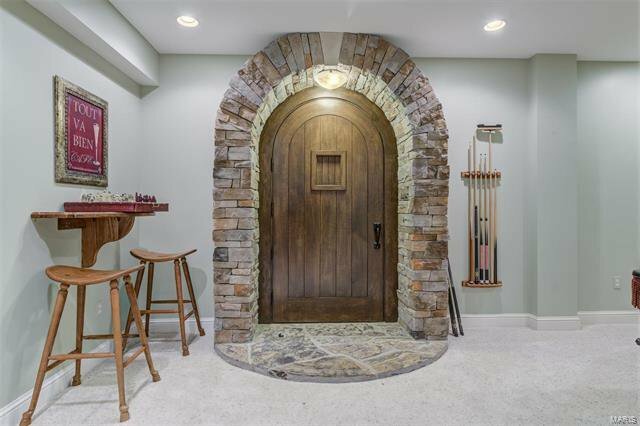 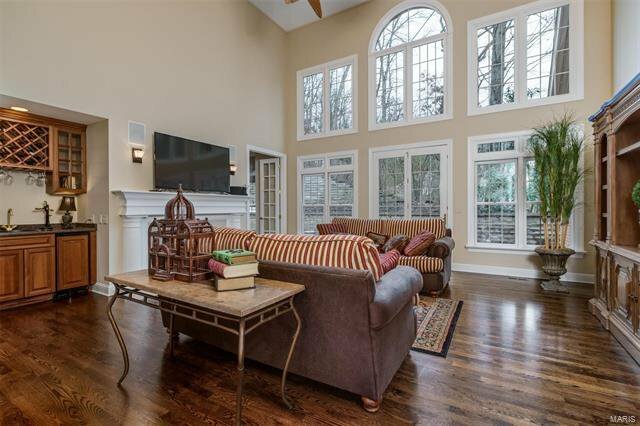 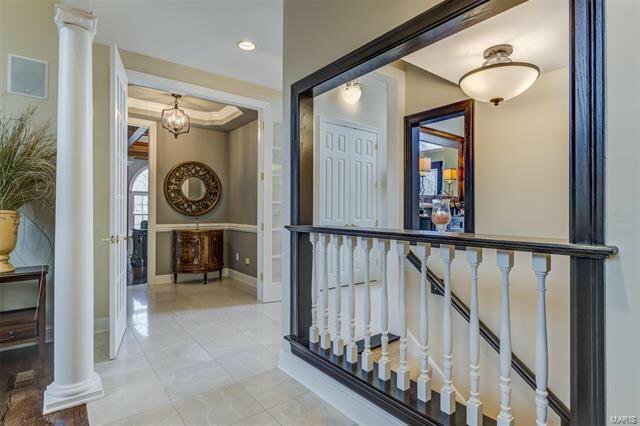 Finished lower level with walk-out, theater room, pool room, gym, custom stone wine cellar, fireplace, wet bar with mini-kitchen and 2 full baths, one with a steam shower. 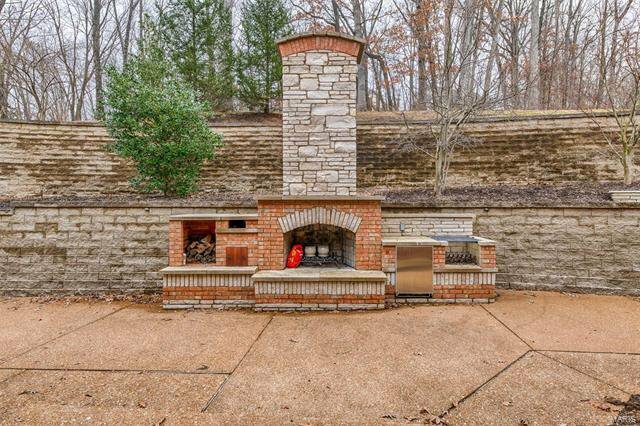 The back patio has a fireplace, grill, refrigerator and pizza oven. 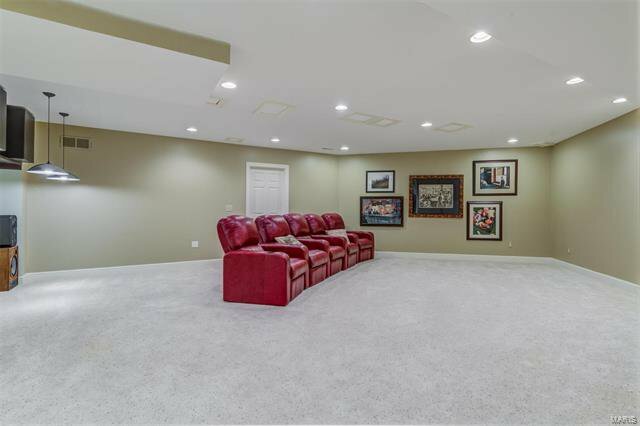 4-car oversized garage with new epoxy floor finish. 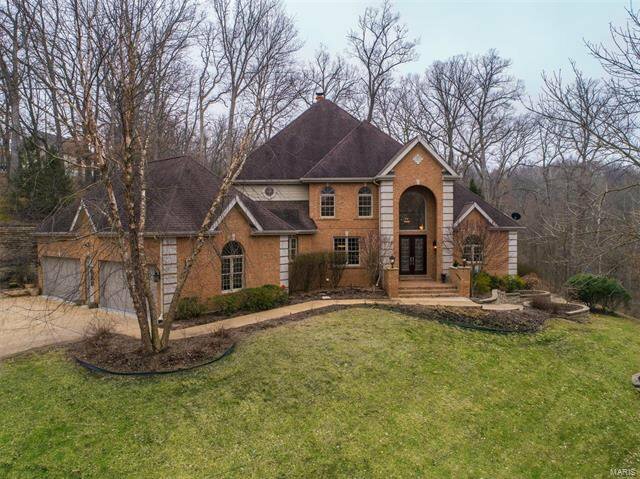 Listing courtesy of Dielmann Sotheby's International Realty.